Experts at the German Center for Research and Innovation (GCRI) open the discussion of green logistics in New York on the future of sustainable logistics. NEW YORK– Global supply chains and distribution networks are a key performance factor for many companies as they attempt to coordinate activities in a way that meets customer requirements at minimum costs. In the past, costs were defined in purely monetary terms. Today, as ecological issues play an increasingly important role, companies are starting to take into account the external costs of logistics, especially with respect to climate change and environmental devastation. 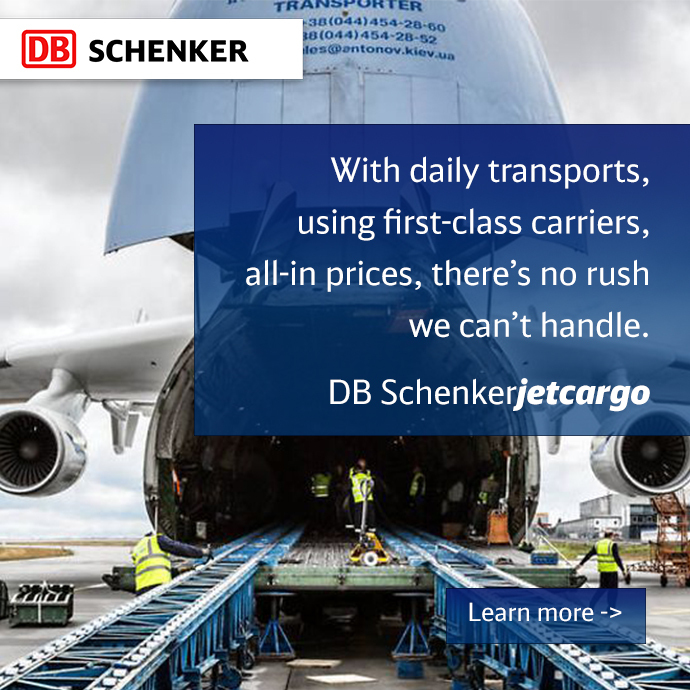 Sustainable logistics is a key priority for DB Schenker, which aspires to become the world’s leading green logistics service provider and to prove that CO2 emissions can be reduced as transport increases. Sustainable logistics is also an area of focus for The Volkswagen Group. Volkswagen’s green logistics systems create environmental value by reducing resource and water consumption, emissions, fine particulate pollution, and waste. On Thursday, December 11, from 6:30 to 8:30 p.m., representatives from Fraunhofer IML, TU Dortmund, and USC will join industry representatives on a panel at the German Center for Research and Innovation in New York to discuss the strategies and technologies developed to optimize logistic processes and to minimize material and energy utilization throughout the supply chain. Prof. Dr. Uwe Clausen, Director of the Fraunhofer Institute for Material Flow and Logistics, will speak at the event. He will explain why Germany is currently investing in green logistics, where he predicts the field is headed over the next 10 to 15 years, and what significance these changes will have on the economy at-large. In his presentation, he will draw upon years of research expertise in green logistics, commercial traffic modelling, intermodal transportation, network optimization, and distribution systems. Prof. Dr. Clausen previously worked in the logistics service industry as European Operations Director at Amazon.com and Logistics Manager at Deutsche Post DHL. Currently, he serves as Managing Director of the Institute of Transport Logistics at TU Dortmund University. In his talk, he will discuss the implications of climate change on the future of logistics. The impact of weather-related events, such as strong winds, floods, heat waves, or snow storms, for example, will affect transport reliability and infrastructure. Similarly, logistics may also be confronted with more environmental regulations like taxes, road pricing, emission trade, and reporting. Going forward, the logistics industry will need to know its greenhouse gas emissions in order to establish global standards. At present, one fifth of global greenhouse gas emissions are driven by mobility and logistics. Prof. Dr. Clausen will be joined by Fabio Freccia, Head of Logistics of the Volkswagen Group of America, Chattanooga Operations, who has been working for the company the past 17 years. Mr. Freccia is responsible for logistics planning, inbound and in-house logistics, as well as production planning and control. He has been leading the “Green Logistics” projects in the U.S. and Brazil by implementing hydrogen fuel cells for material handling equipment, optimizing truck loads, and introducing rail transportation for inbound logistics. In his presentation, he will explain why VW is investing in green logistics as well as whether customers or other stakeholders are demanding this action. Furthermore, he will provide current examples of how VW is implementing green logistics and will describe what plans the company holds in this area for the future. Susanne Salomon, Manager, Eco Excellence, at DB Schenker, DB Mobility Logistics AG, in Frankfurt, Germany, will also speak. Ms. Salomon is responsible for positioning DB Schenker as an eco-pioneer for the development of its eco solution portfolio and for overseeing the management of sustainable projects. In her presentation, she will address why DB Schenker is investing in green logistics and whether this investment will give Germany a competitive advantage over the next decade. She will highlight how Deutsche Bahn, for example, has firmly established sustainable actions in its DB 2020 corporate strategy with clearly defined targets and measures for all its business units. Ms. Salomon will also discuss DB Schenker’s “Avoid-Reduce-Compensate” three-step approach to addressing the issue of CO2 emissions. Additionally, she will explain how the company’s stronger focus on consulting and eco procurement is necessary for becoming a true eco-pioneer. Finally, Ms. Salomon will address the various challenges the company faces regarding the implementation of green logistics. Dr. Genevieve Guiliano, Professor and Senior Associate Dean of Research and Technology in the Sol Price School of Public Policy at the University of Southern California and Director of the METRANS joint USC and California State University Long Beach Transportation Center, will also speak on the panel. She will discuss how German and European developments in green logistics are perceived in the U.S. as well as whether these efforts have had a positive effect on the reputation of European companies among U.S. stakeholders. In addition, she will describe the key differences between American and German approaches to green logistics, namely with regards to regulatory environments and perceptions within the various business communities concerning the need to address environmental problems. Finally, she will touch upon the notion of “voluntary regulation,” a practice witnessed in parts of corporate America today, for example, in which companies self-regulate. A video recording will be available on www.germaninnovation.org shortly after the event. This event is co-sponsored by the German Center for Research and Innovation (GCRI), the University Alliance Ruhr (UA Ruhr), and DB Schenker. The German Center for Research and Innovation provides information and support for the realization of cooperative and collaborative projects between North America and Germany. With the goal of enhancing communication on the critical challenges of the 21st century, GCRI hosts a wide variety of events from lectures and exhibitions to workshops and science dinners. Opened in February 2010, GCRI was created as a cornerstone of the German government’s initiative to internationalize science and research and is one of five centers worldwide. Who will be dominate in Europe as far as logistics? Many logistic companies are looking toward Turkey.